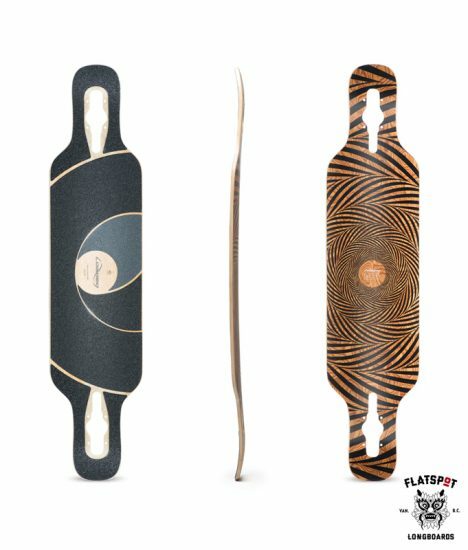 The updated grip design and bottom veneer (Dec. 2016) reference the history of the Tan Tien and its conceptual underpinnings. It’ll also make your home smell of many leather bound books. The Tan Tien is pre-gripped with an aggressive black griptape designed to provide enhanced traction and control for sliding, pumping, and freestyle tricks. 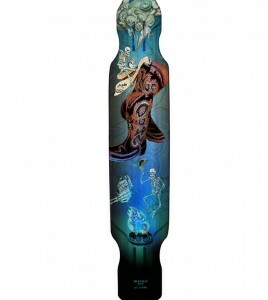 The functional, orbiting griptape pattern allows the board to flex naturally without compromising traction. Subtle concave enhances edge feel for turn initiation and slide control. Minimalist nose and tail kicks allow for manuals and freestyle tricks. 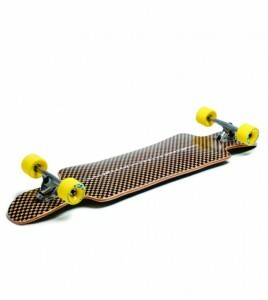 Reinforced with an extra layer of fiberglass for added stiffness and durability. 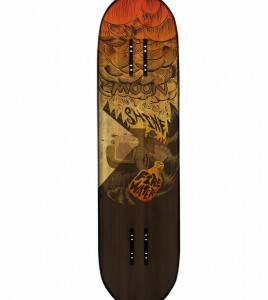 The Tan Tien's cambered profile and rigid outline shape spring you out of every carve with power and flow; the more you give, the more you get. The Tan Tien is the center of gravity and the seat of the life force in yogic and East Asian thought. 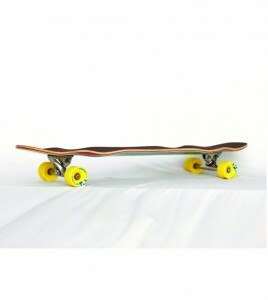 Driven by progressive longboarding as explored by Loaded's riders, the Tan Tien was launched in 2010 from a desire to develop new tricks and engage new riding styles. 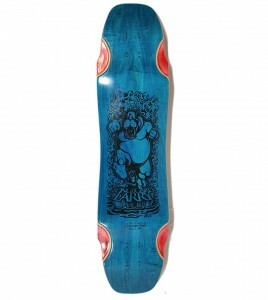 It was the first board that employed nose and tail kicks on a flexible drop-through deck. When launching the original Tan Tien, we used a hand-woven bamboo veneer with a small center star graphic (designed by Nana Studio) to explore the centrifugal nature of the conceptual Tan Tien. We had technical issues with the woven veneer and in 2012 we ended up working with Los Contratistas to design a new (also centrifugal) graphic on a standard bamboo veneer. We missed the simple beauty of the woven veneer, and in December 2016 we spun full circle and re-launched the Tan Tien with its new engineered veneer and orbital griptape pattern. 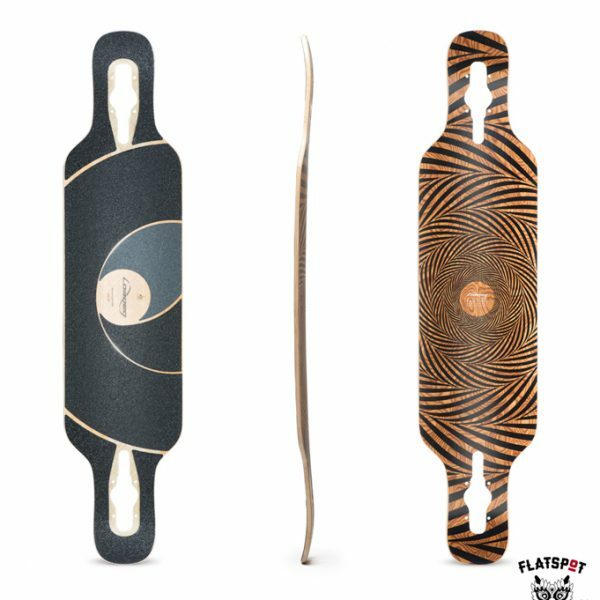 The varied “topographic high points” in the veneer reflect the fact that all Tan Tien riders share a common soul and are controlled by a hive mind. 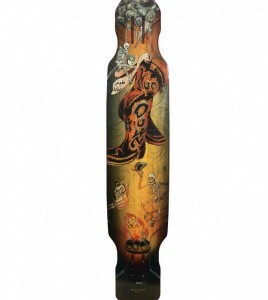 Epoxy and triaxial fiberglass sandwich a vertically laminated bamboo core, which is finished with a multi-centered “engineered” wood veneer and pressed into concave and convex cambers as well as nose and tail kicks. The nose and tail are reinforced with an extra layer of fiberglass for added stiffness and strength without compromising the responsiveness and energy of the central camber. Drop-through cutouts are CNC milled for precision.